3 Bedroom Semi Detached Bungalow For Sale in Clacton-on-Sea for Asking Price £250,000. Bairstow Eves are pleased to offer for sale this heavily extended three/four bedroom semi detached chalet bungalow. The property has just been redecorated throughout and is being sold with no onward chain but offers versatile living accommodation. The property features lounge, dining room, kitchen, utility space, study/bedroom four, four piece bathroom suite, en-suite to master bedroom, off road parking and enclosed rear garden. 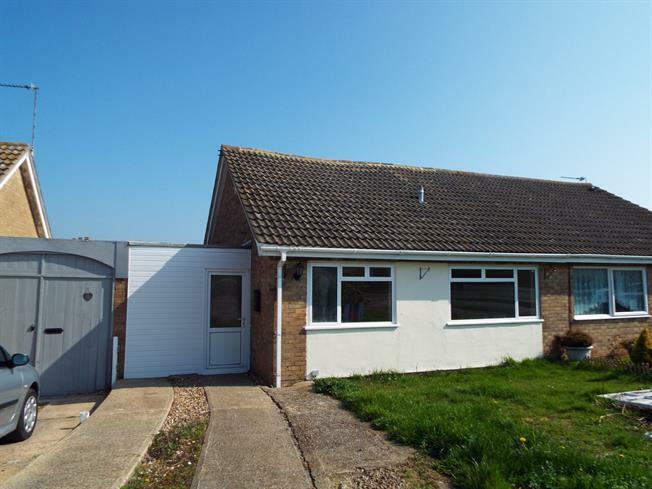 The bungalow is located within the quiet surroundings of Point Clear in St Osyth so please call to arrange your viewing. Sliding , opening onto the garden. Carpeted flooring. Sliding and French . Carpeted flooring. Tiled flooring, tiled walls. Fitted units, stainless steel sink and with mixer tap with drainer, freestanding oven, over hob extractor. Double glazed window facing the front. Carpeted flooring. Double glazed window facing the side. Tiled flooring, tiled walls, spotlights. Low level WC, panelled bath with mixer tap, walk-in shower, pedestal sink with mixer tap. Double glazed window facing the rear. Built-in storage cupboard. Spotlights. Low level WC, panelled bath with mixer tap, pedestal sink with mixer tap.